Days after LastPass rolled out a native Mac app, popular rival 1Password has major updates for its own iOS and Mac apps. If you’re not already securing your passwords with a manager like 1Password, these updates make the process easier and more appealing. Version 5.2 for iOS has a brand-new Login Creator for adding accounts and creating tough-to-crack passwords for hundreds of sites. In a Monday blog post, 1Password called the new feature “fun”—or as fun as managing your passwords can be. The new feature is free for both pro and regular users. Pro feature users also get two-factor authentication with the new one-time password tool, which lets you create a second random password for sites that support it, like Amazon and Tumblr. A few other pro additions include custom field types and the ability to delete attachments. 1Password is free for iOS with pro features available for $9.99. 1Password for Mac is getting a free overhaul for easier syncing of primary and secondary vaults, laying it all out for you to see. 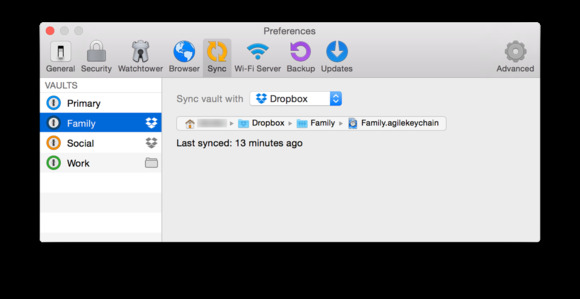 Secondary vaults can now sync over Wi-Fi between Mac and iOS for people who hate the idea of syncing to the cloud—and you can keep secondary vaults from syncing if you want. Syncing works if you have 1Password open on your devices and both connected to Wi-Fi. The update is free if you’re a paid user of 1Password for Mac, which costs $49.99 on the Mac App Store. Check out all the smaller tweaks here, and check back later this week when we go hands-on with the update.